Are you looking to maximize the space around your home? Maybe your looking for some roof storage ideas? 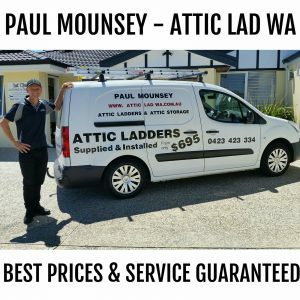 Well Attic Lad WA has the solution for you. 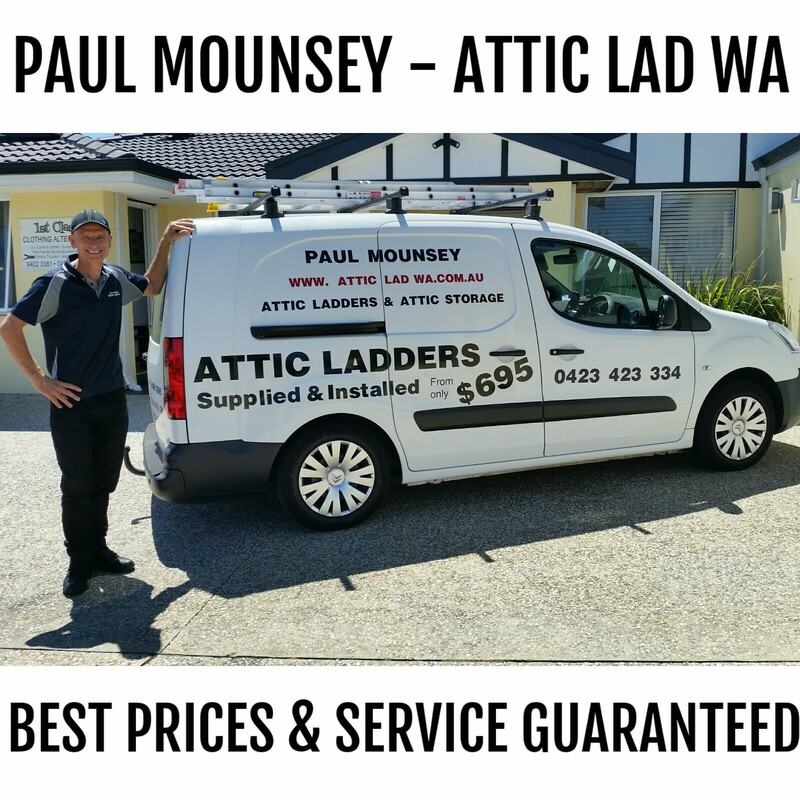 We provide and install a safe and easy access ladder which will lead to your roof providing you with a room full of space, thus giving you a better advantage of space around your home. We can work with all types of roof spaces whether they are basic or awkward. We can install specific platforms designed for your needs. You tell us what you need! One of my recent clients from Ellenbrook needed some roof storage Ideas, after combining two family’s in to one household !. At this install the clients wanted to maximise the available attic storage space in there roof, with there budget . So after a site visit my recommendations was to do a raised attic storage platform. This type of method puts the roof storage platform on to of the joist hanger beams which creates a clear attic storage platform and maximise the storage space. 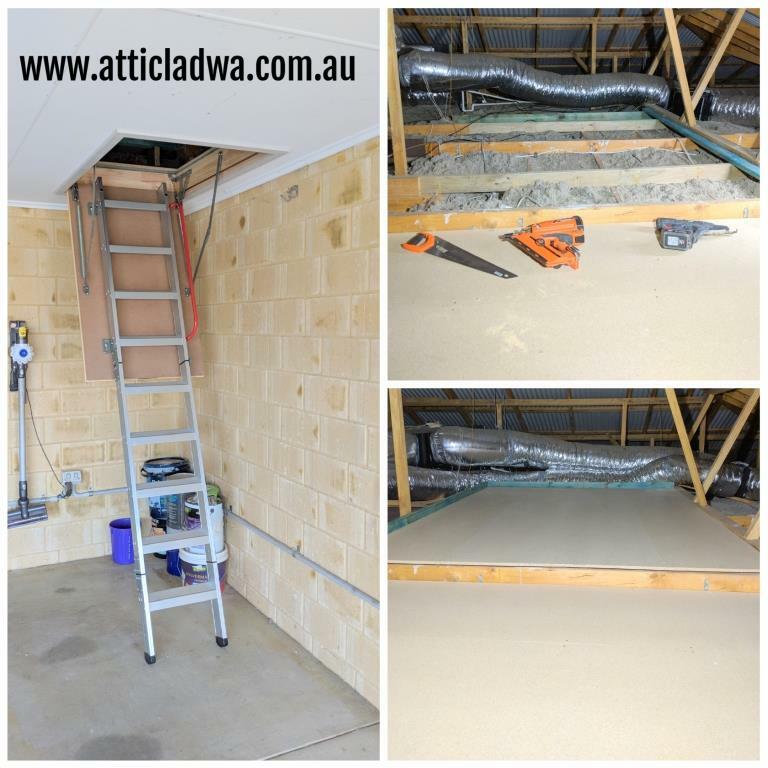 On completion of the install a 15 square meter raised attic storage platform created with one of my quality deluxe 680 extra wide attic ladders . 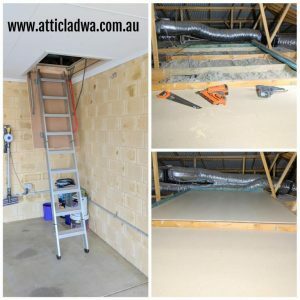 The extra wide attic ladder hatch are definitely worth having, as it makes getting those bulky items in to your roof storage space much easier. Getting feed back from my customers is very important to me. So I am always please to here they are happy with the service in provide.